I’m never sure how to start off posts on solemn holidays such as Veterans Day. “Happy” Veterans Day, doesn’t seem right, but how do you acknowledge the day? It doesn’t even seem appropriate to lump them in with other “holidays” since the themes should be respectful in lieu of festive. Veterans Day can bring an odd mix of feelings. While there is and should be a deep respect and sense of loss for those that gave their lives for our Country, it does not seem inappropriate to celebrate those that returned home and the successes they had in protecting our Country and our ideals. You cannot elevate one above the other in achievement or sacrifice. I did not serve in the military, but many in my family did, including my father, grandfather, an uncle and a great uncle of which I’m aware. I currently have a nephew serving in the military. My college roommate went through ROTC and served overseas for years. I have great respect for them all. 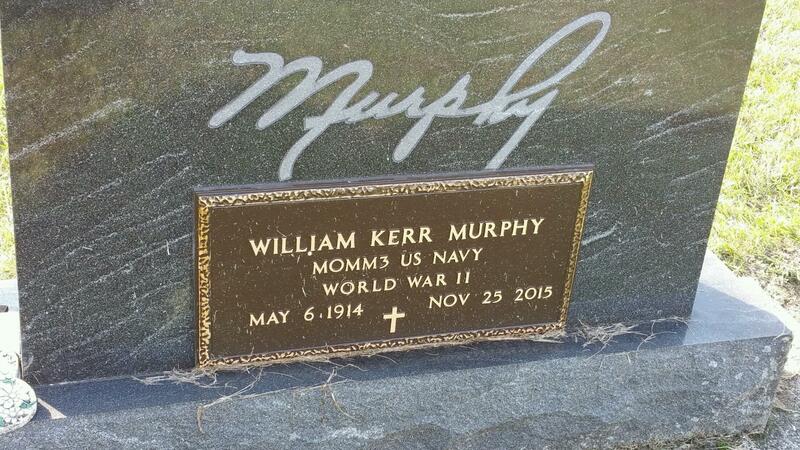 Since last Veterans Day, my grandfather passed away at 101. The Navy provided a tribute to him and added a plaque to his gravestone. (see right – MOMM3 is the designation for Motor Machinist Mate 3rd Class) He also received an Armed Forces Certificate which we received around Memorial Day this year. 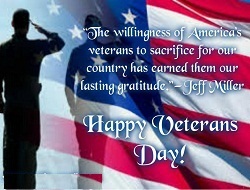 For all the veterans in my family and throughout my extended family of fellow Americans… Thank you for your service. I hope this Veterans Day allows all Americans to pause and think about what your sacrifice has meant to them.